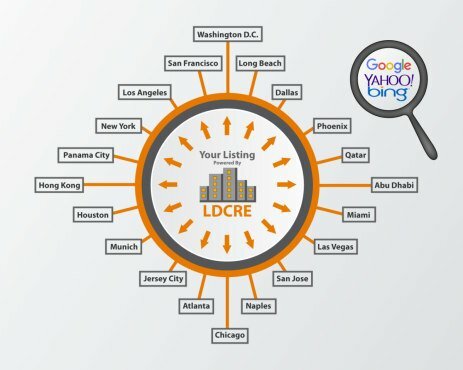 LDCRE has forged partnerships with numerous news websites throughout the globe where LDCRE provides all its CRE listings data to metropolitan and regional based news websites. This allows brokers to increase their listings’ local and global reach, demand, and closing probability. Contact us if your news publication is interested in becoming a LDCRE Listing Syndication Partner. Provide your visitors with hundreds of thousands of pages of additional content.